The IT workers at Cengage Learning in the company's Mason, Ohio offices learned of their fates game-show style. First, they were told to gather in a large conference room. There were vague remarks from an IT executive about a "transition." Slides were shown that listed employee names, directing them to one of three rooms where they would be told specifically what was happening to them. Some employees were cold with worry. The biggest group, those getting pink slips, were told to remain in the large conference room. Workers directed to go through what we'll call Door No. 2, were offered employment with IT offshore outsourcing firm Cognizant. That was the smallest group. And those sent through Door No. 3 remained employed in Cengage's IT department. This happened in mid-October. "I was so furious," said one of the IT workers over what happened. It seemed "surreal," said another. There was disbelief, but little surprise. Cengage, a major producer of educational content and services, had outsourced accounting services earlier in the year. The IT workers rightly believed they were next. The employees were warned that speaking to the news media meant loss of severance. Despite their fears, they want their story told. They want people to know what's happening to IT jobs in the heartland. They don't want the offshoring of their livelihoods to pass in silence. The employees remaining at Cengage have begun training their replacements in person and via the Web. Their work is being "shadowed" and recorded. Their jobs will end in January. Cengage, in an email statement, acknowledged a reduction in the workforce of 75 positions. An additional 20 positions have been moved to Cognizant and most employees have accepted those positions, the firm said. Susan Aspey, senior vice president of public affairs for Cengage Learning, said in an emailed statement that the "business is evolving and we now serve more customers with software than print materials. "Over a period of nearly a year, we reviewed our technology systems and staffing," Aspey wrote. "We were very transparent with the team about this process. We determined that we needed a more flexible staffing model that could better serve the cyclical nature of our business, and a different model of software support for our customers. To do this quickly and efficiently, we needed the support of an outside partner. We chose Cognizant, a U.S. firm that supports several companies in the education industry. "This was a very difficult decision, as we value all of our nearly 4,000 U.S. employees and their contributions." Cognizant, based in Teaneck, N.J., employees about 219,000 people, most of them in offshore locations. Cengage employees offered a job with Cognizant had little choice but to take it. If they rejected the offer, they would leave without severance, said IT workers. The severance offered is two weeks of pay per year of service. The Web-based workers that the Cengage employees are training to take over their jobs are believed to be in India. Cognizant applies for thousands of H-1B visas annually, and is one of the top three users of the visa, according to government data. Cengage employees reached for comment didn't know what visa, if any, the contract workers in their offices were using. But they said some of these workers spoke a foreign language in the office, along with English. The idea that their work is being taken by foreign workers is very unsettling, according to the Cengage workers interviewed. "The jobs are being replaced offshore, and I don't think people even understand what's happening here," said one IT worker, who pointed out that good opportunities were scarce. "The jobs out there are pathetic." Said another worker about offshore outsourcing: "I think it's what's killing the American economy -- the middle class jobs are going away." Cengage is based in Boston, but runs IT operations in Mason as well as in other states. The layoffs affected workers across IT, including networks, desktop support, database administration, developers, data warehouse and other systems. The U.S. Bureau of Labor Statistics reported Friday that the labor market grew by 271,000 jobs in October. But Victor Janulaitis, CEO of Janco, a consulting firm that studies the IT labor market, says IT hiring has been weakening compared to earlier this year. There were about 10,200 IT jobs created in October, but the trend is slowing, said Janulaitis. In July, 17,000 IT jobs were added; in April and January, the number of jobs added was 16,000 in each of those months. On Friday, Janco reduced its IT job growth estimate for 2015 from 160,000 to 145,000. The number of jobs is still positive, but the situation varies regionally. Ohio has been hurt by a decline in manufacturing that has also reduced IT work. 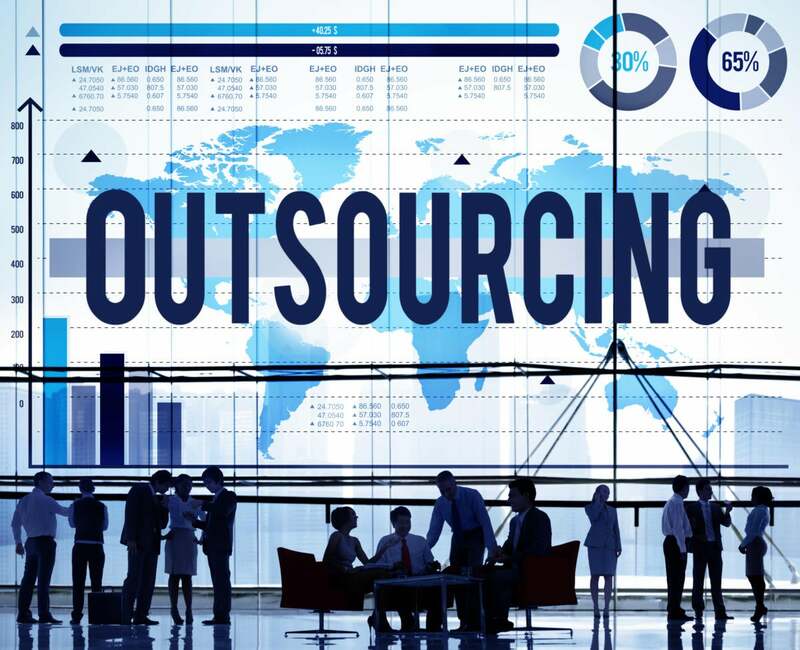 Offshore outsourcing is having "a fairly strong impact" on IT employment, said Janulaitis. Students coming out of college are facing trouble starting a career "and a lot of that is driven by jobs that are taken by non-U.S. nationals in our economy, and a lot of that is H-1B [visa holders]," he said. "Why are we talking about more H-1B visas for people when we have people who are unemployed?" said Janulaitis. The IT offshore industry relies heavily on H-1B workers to deliver services, and large offshore firms, both in the U.S. and in India, are the largest users of this temporary, non-immigrant, work visa. The issue is getting a little more attention in the unfolding 2016 presidential contest, but it remains to be seen whether this attention will have any impact. Sen. Sherrod Brown (D-Ohio) was one of 10 senators who asked in April for an investigation into the use of H-1B visa workers to replace IT employees at Southern California Edison. With Sen. Chuck Grassley (R-Iowa), Brown also tried to amend the 2013 Senate comprehensive immigration bill with a provision requiring a business to first offer a vacant position to an equally or better qualified American worker before seeking an H-1B visa worker. The amendment failed. Grassley opposed the overall bill, but Brown voted to support it. The final bill, never adopted by the House, included provisions for increasing the base H-1B cap from 65,000 to 180,000.